​Courtesy of Scarborourgh Wine Co.
Pre-heat oven to 210°C. Place fish skin-side up on a tray covered with baking paper and season skin with salt and pepper. Cook for 12 minutes. Very gently remove fish skin and place on a separate tray lined with baking paper. Meanwhile, keep fish warm. Place skin in oven for a further 10-15 minutes until skin is crisp. Remove and snap into shards. 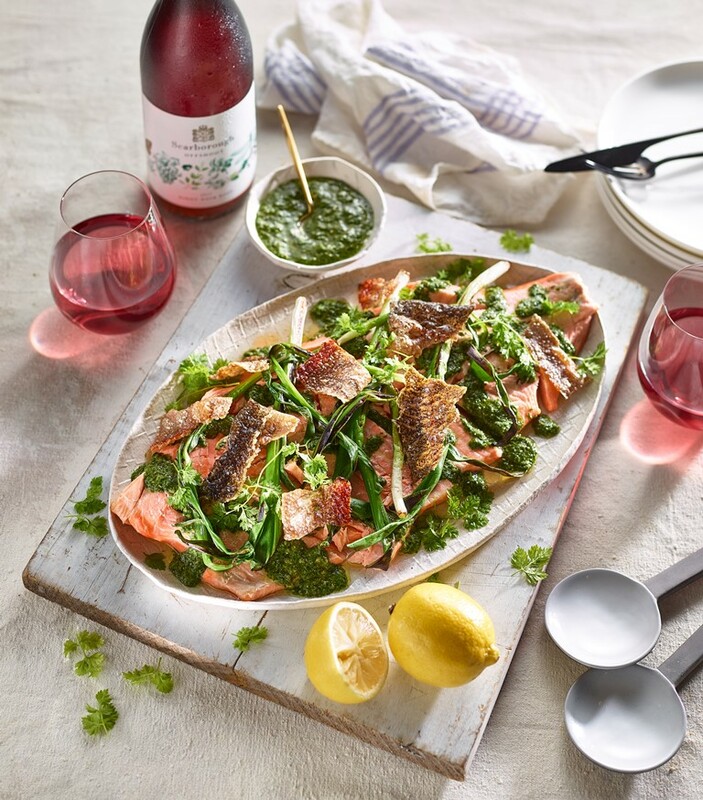 Gently tease apart fish into pieces, drizzle salsa verde over top and garnish with onions and fish skin crackle. Serve with Scarborough's Offshoot Pinot Noir Rosé.